HANDD have deployed Data Classification projects across many industries including pharmaceutical, healthcare, gas and oil, and those featured below. Manage complex compliance requirements manageable for organisations dealing with masses of PII. 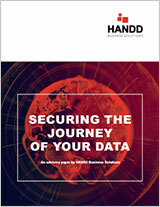 Control your data and protect it effectively, wherever it travels along your lengthy and complex supply chains. Classification brings 360° benefits for highly regulated industries and businesses dealing with sensitive data. Use data classification to effectively protect your valuable Intellectual Property, and your competitive edge.